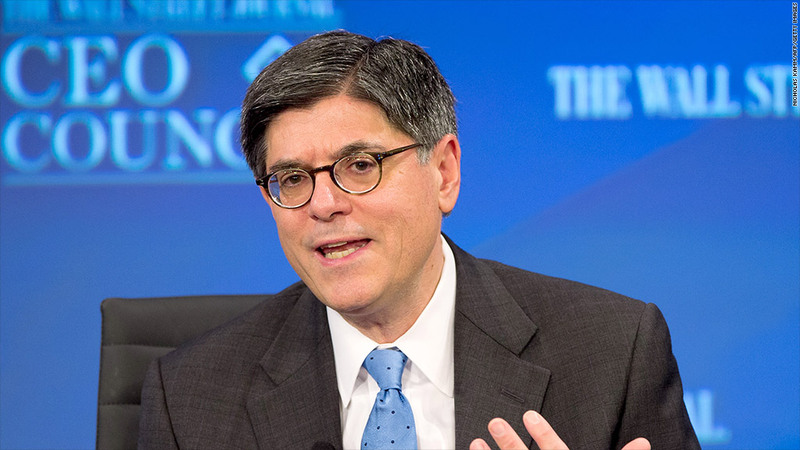 Treasury Secretary Jack Lew this week again noted that political brinksmanship over raising the debt ceiling benefits no one. And he urged lawmakers to raise the limit soon to create certainty for the economy. The budget focus on Capitol Hill is whether lawmakers will do the bare minimum and agree on a spending level for this fiscal year before funding runs out on January 15. But soon enough, they will have to turn their attention to raising the debt ceiling. If they don't they will risk a potential default on U.S. debt as early as March, according to a report released Wednesday by the Congressional Budget Office. The deal lawmakers brokered in October to end the government shutdown let the Treasury Department continue borrowing new money through February 7 without regard to the debt limit. Then, on February 8, the debt limit will automatically reset to a higher level that reflects how much Treasury borrowed during the nearly 4-month debt ceiling suspension period. At that point, however, Treasury will still be able to use "extraordinary measures," the special accounting maneuvers that let it keep paying the country's bills without going over the debt limit. But the measures won't last very long. "CBO projects that those measures would probably be exhausted in March. However, the timing and magnitude of tax refunds and receipts in February, March, and April could shift that date of exhaustion into May or June," the agency said. Given how uneven the government's cash flow is from day to day and month to month, it's impossible to say with more precision when an actual default could occur. CBO notes that the Treasury typically issues a large amount of tax refunds in February and March, which can lead to big monthly deficits. By contrast, April tends to create a large surplus because everyone is sending in their federal tax returns along with checks for any additional taxes they owe for the previous year. Treasury Secretary Jack Lew has noted many times that political brinksmanship over raising the debt ceiling benefits no one. And he suggested as much again this week at the Wall Street Journal CEO Forum, where he urged lawmakers to raise the limit without drama. "I hope ... they just do the debt limit in a business-like way and give some certainty to the U.S. and global economy. That would be the right thing to do."